Alishan Infinia is a residential development of Alishan Consultancy. 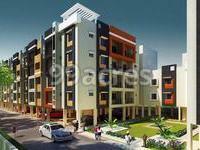 Located in the midst of Bhubaneswar, it is built across a wide area. These luxurious 2BHK and 3BHK housing units makes it a dream home to everyone. These apartments are beautifully crafted with basic amenities. 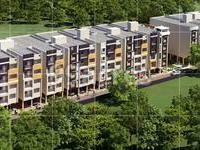 What is the project location?The project is located at Ghatikia, Bhubaneswar. What is available flat size in Alishan Infinia? 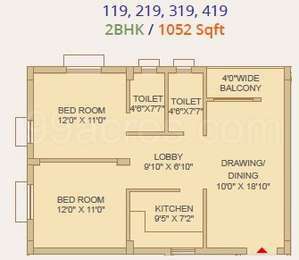 Flat sizes in the project range from 1052.0 sqft to 1827.0 sqft. 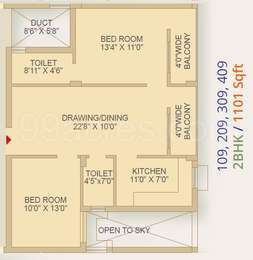 What is the area of 2 bhk in Alishan Infinia? 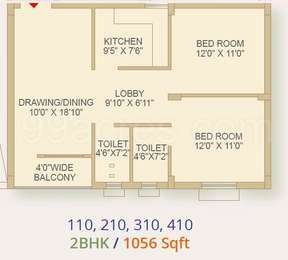 The size of a 2BHK unit in the project ranges from 1052.0 sqft to 1112.0 sqft. What is the 3 bedroom size in Alishan Infinia? 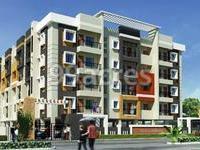 The area of 3BHK units in the project varies from 1676.0 sqft to 1827.0 sqft. When is the possession of Alishan Infinia expected?The project is slated for delivery in Dec 2019. How many units are there in Alishan Infinia?There are 144 units available in the project. Established in 2007, Alishan Consultancy Construction has carved a niche for itself in the real estate industry. The company takes pride in its core values of customer service, excellence, competence, innovation, integrity and commitment. It is driven by the mission to honor every commitment and provide best value for customer's money. The company has developed numerous landmark projects and strives to bring a paradigm shift in the real estate industry.